is in “Zero energy” mode. An email address is required in order to download the brochure. Fully calibrated in our laboratories, the JSC-88 voltage detector is also easy to install and ready for operation. The JSC-88 voltage sensor is fully calibrated in our laboratories and therefore delivered completely ready for operation. Installation takes about 10 minutes per device and can be carried out by anyone. Watch this video to learn how. The JSC-88’s small design allows for direct installation on the door of the switch board, the starter or the control panel. Our voltage detector is now widely used by many companies concerned about the safety of their employees. Important note: If one or more LEDs remain lit, this means that the JSC-88 is detecting the presence of voltage and that the situation is definitely dangerous. A qualified electrician should then look into the cause of the problem and take appropriate corrective measures. There is no automatic link between a given LED and a particular phase. 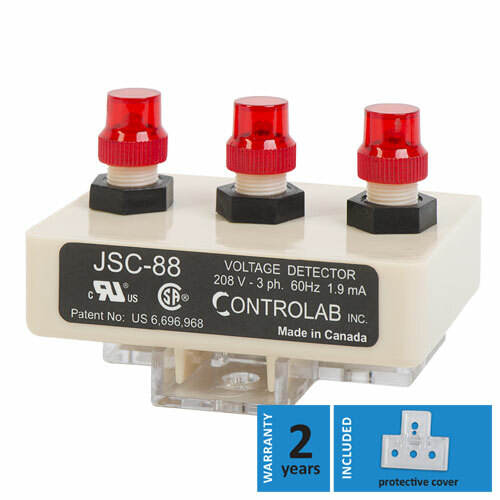 The JSC-88 was not designed to detect phase loss, but rather the presence of a problematic voltage in an industrial environment. Controlab products (phase imbalance detectors, voltage detectors, ground fault monitors) are sold through a network of distributors and OEMs covering all of North America. For questions or comments about Controlab products, please contact us. 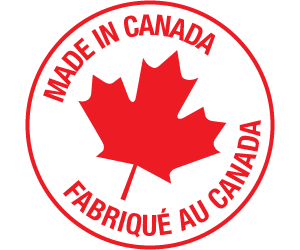 Founded in 1976, Controlab Inc. manufactures high quality electronic products to protect workers and three-phase electrical equipments.